Here’s a pic of my Drink Water! mural at Burning Man 2017. 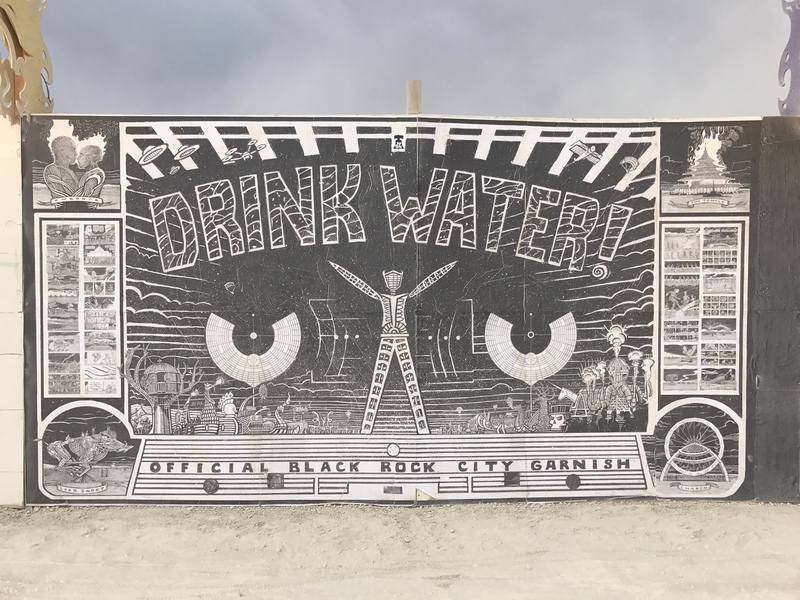 It measured 8×16 feet and was pasted up at Center Camp on Saturday before the gates opened. Unfortunately, I was not able to make it out to the desert this year, but my good friend Sharyn Gigglz arrived early and offered to hang the artwork for me. Extra special gigantic thanks go out to Sharyn and her Philly Shrine team for doing such a great job on the install!!! I hope to make it back out there for 2018! Praise Jawn! . . . )'( . . .